Making the impossible... possible... for all of his friends. Since the day Gavin was born, I have been on a mission. It became my job - my identity - to help him. I promised him the first time I held him to my chest that I would always figure things out for him - I'd get him what he needed somehow, someway - and I'd never give up on him. Gavin had to trust me to keep my word. Over the years, I did figure things out. When I couldn't get the "special needs" item I wanted, I learned to adapt things that we had to make that work. When a therapist asked us to try something, I researched until I found the exact thing and either borrowed it or bought it immediately. I think my favorite homemade item was the parallel bars made out of PVC pipes. 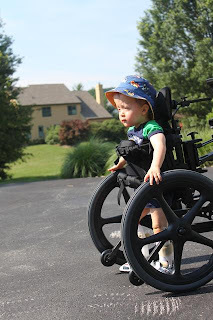 We were lucky because we were able to purchase several things for Gavin that weren't covered by insurance. 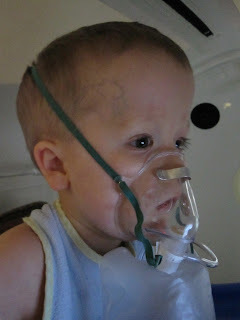 We used much of our savings to buy a Hyperbaric Oxygen Chamber for him to use at home... and a KidWalk mobility system. But not every family can do that. Many families have to rely on therapists and teachers and their community to help make things happen for their kids. There is, once again, a lot of trust involved. Anything labeled "Special Needs" comes with a high price tag... making it inaccessible to many parents, therapists and teachers. Imagine a big closet filled with assistive technology, adaptive seating, switch activated toys and special needs equipment like walkers and standers. Sometimes that's all there is for a whole area - meaning teachers and therapists use what they have, borrow back and forth between each other and even... in some cases... duct tape things so they can continue using them. This happens! Despite what you might think, funding is minimal. Everyone has to trust that somehow, someway they will get what they need to help the kids they serve. This is where Gavin and I come in. I have been secretly working on a project (which makes me feel like I'm still "doing" for Gavin) and I'm happy to share it today with all of you - and also invite you to be part of it. Last week, I met with two important people from the Chester County Intermediate Unit, which was the organization that provided therapy and services to Gavin from the age of three. They had secretly quizzed Gavin's teacher to ask her if she had a "wish list" of sorts for Gavin's classroom. The day they came to visit, we talked about the items needed for Gavin's classmates. Those items were a multi level communicator to use during circle time, a sensory swing for inside the classroom, and a swing frame for the existing playground that can accomodate two special needs swings. Currently, Miss Megan's "BigMack Communicator" is being held together by tape. Their "sensory swing," one of Gavin's favorite activities, is now a fleece college throw that his Occupational Therapist brought in from home. And the school provided a bucket swing for the playground, which was great for Gavin, but his friends with lower tone can't safely sit in it. Here's the GREAT news. When Meghan, from hope.joy.photography, volunteered to design and print the funeral programs, she opened a PayPal account for those who wanted to pitch in to cover the costs. After the programs were made, there was a lot of money left over. Enough to easily cover ALL of Miss Megan's wish list... and then some. So, Gavin's Trust Project is already off to a great start. 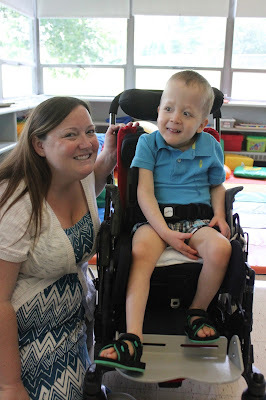 Gavin was able to immediately help his friends and teacher in a big way. Miss Megan was so, very grateful. Many of you have already given generously to the three organizations that mean a lot to our family. But I want you to know... this project is extremely personal to me. I feel like if I can make this happen, the "advocate" part of my identity will live on for years. Currently, I have 19,769 readers on the Chasing Rainbows Facebook Page. Imagine for a minute that each of those people gave one dollar. That would be... beyond incredible. That would mean that Gavin's legacy of proving that "anything is possible" would live on for years. That would mean that that Brian would grow old enough to really grasp the fact that his big brother continuously helped kids like him right in our hometown. And I will be so excited to explain to him that this Trust Project was built by readers who were inspired and changed by his big brother's journey. A "Donate" button will live on the right side of my blog. When you click it, it will allow you to donate any amount using your credit card or your existing PayPal account. The donations will go to my PayPal account, which I have set up for this project. Each time it reaches a specific amount, I will withdrawl the money and send a check to a supervisor at the Intermediate Unit that will be in charge of this fund. If you are not comfortable with using PayPal or a credit card, you can make out a check to CCIU and put "Gavin's Trust Project" in the memo. You can then mail it to Chester County Intermediate Unit, c/o Deb Hiller, 455 Boot Rd., Downingtown, PA 19335. I promise you, any amount you give will go a long way. Even if you literally give one dollar - there will probably be 20 other people who do the same. Every dollar adds up... and every dollar means the world to me. I am so excited about this project. I can just see the smiles on the kids faces as they gain access to equipment or devices that are fun. And I can easily imagine the relief on the faces of teachers and therapists and parents when they realize they don't have to beg and borrow to acquire items that are much needed... and functional. I will be updating along the way and I have been promised updates as Gavin's Trust Project is used for purchases. The tagline of my blog has been "A Mommy's Quest to Make the Impossible, Possible... and the Unexpected Miracles Along the Way." There are always unexpected miracles... even if they are born out of a tragedy. I can't wait to see the miracles that come from this project. And I want kids in this area to know their angel friend, Gavin, is here to make the impossible... possible for them. Thank you for your support. And thank you, as always, for loving our family! Love this. It is heartbreaking for families with special needs that don't have the resources to help thier children. Wonderful. I will keep an eye out for your donate button. I jsut gave a donation in Gavin's name to the Gift of Life House, so I may not be able to donate until next month, but I will remember. This is so great! 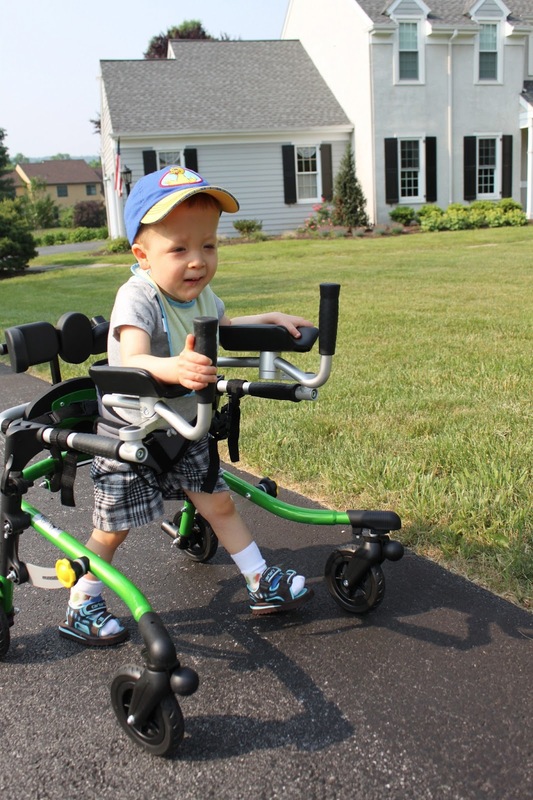 I am so happy that Gavin will continue to change lives!! Remember when you said that you attended the funeral of a young child that died and you were amazed with the mother's grace? Remember how you were hoping you'd have that same grace? I think you are full of nothing but grace. Gavin is still here, and I don't think he's going anywhere for a very long time. You and Gavin are amazing and I am so humbled by your grace. This is a beautiful idea! Something to think about moving forward: if you incorporate the Trust, and apply for tax-exempt status from the IRS, people donating could get a charitable deduction. It might encourage more giving. I am a lawyer with experience in this area and would be more then happy to help out with the documents and filings. Of course nothing you have to decide today, but something to think about. Wonderful! I am happy to donate. I do not have a special needs child, so I really appreciate your posting links to the assistive devices so I could learn more about them. You continue to teach Kate and expand my understanding of the world. Thank you. 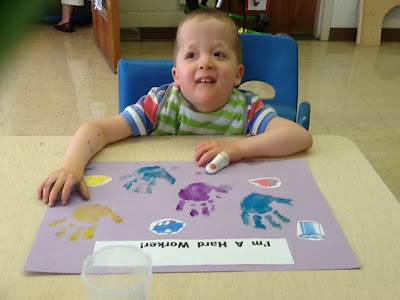 Having a child with special needs and using early intervention I know that this is important that the teachers have the equipment to help better our childrens lives. I would be happy to donate. I think this is a great program and that you are a wonderful woman.. My son is tube fed and all of his tube feeding supplies are covered by our insurance, but I know there are a lot of people who dont have insurance to cover these things, so whenever I have extra supplies, food etc that my son didnt use I post it on the oleyfoundation website where you can donate these sort of things to families who need them. Great idea! I made a small donation just now. I would love periodic reminders on special days... I would be happy to donate regularly! Also- I can't speak for everyone here, but I love to get updates on donations- how much money has been raised for your sweet boy. done. so happy to be able to continually honor gavin and all he has done...and will continue to do for a long time to come. Happy to donate in honor of Gavin! I also would love to hear periodic updates on how much the Trust has raised! I just mailed a check because the paypal link wouldn't take my card. I don't know why, but I get this error sometimes by trying to use my credit card through Paypal. This is such a wonderful idea and what a great way for Gavin to continue to help others in the coming years. Kate, you and your WHOLE family are in my thoughts daily. As a Special Education Teacher, I have to say this is an amazing project. I know how difficult it is to want/need things for your students but be unable to get them. This will make a difference in the lives of so many children. You are a wonderful mother, I wish all parents were like you! I am happy to donate in honor of Gavin. Done. Praying for this project, and your family. I have been following your blog for a couple weeks now and I just wanted to tell you you are an amazing woman and an inspiration to all women with your strength, courage, candidness, and unconditional love for your children. Gavin truly is a superhero and I know he is looking down on all of us, especially you and your family Kate, and I know he is so proud of his mommy for turning a negative situation into a positive one. I will definitely be donating in honor of Gavin and I hope when I have kids I can be half the mother that you are. Was going to try to edit my post and accidently deleted it. I will retype what I had written before later. Kate, every time I have read one of your blog posts, I have wanted to comment and send love and prayers. I have wanted to cheer with you, cry with you, celebrate with you and scream with you! You are an amazing momma, so full of grace and passion and love. I work in early intervention in Central Pennsylvania. I am a special instructor and work with birth to three. I have loved seeing pictures and reading posts about the people who have come in to your home to work with your boys and reading about the therapists and teachers in Gavin's classroom. I have done both and I love my job with all my heart. 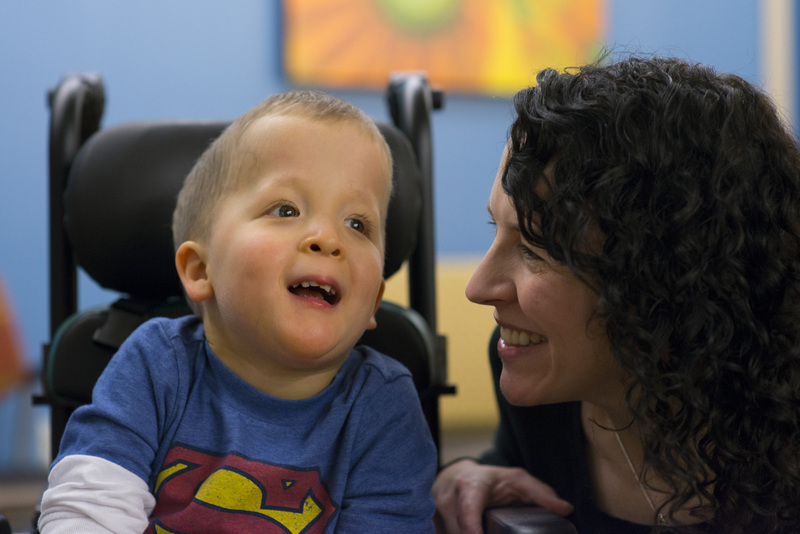 I have worked with many wonderful families who are the most amazing advocates for their special kids. I worked with families who are able, like you, to give their children what they need and I have worked with families who have trouble putting food on the table. I work with amazIng therapists who go out of their way to get families what they need to help their kiddos in any way possible. I know what you mean about a closet full of supplies shared among many homes and classrooms. I think that Gavin's trust is a wonderful idea and such a special way for Gavin to keep giving to his friends and teachers and therapists for years to come. I was just telling my kindergartener about Gavin. He asked me what we could do to help. I told him about your project and he asked, "How much can we give?" I hope all of your readers are able to give a little to keep this wonderful project going for a long time to come. You are an amazing person Kate and an inspiration to so many. I will continue to keep you and your family in my thoughts and prayers. Thank you for sharing your amazing story and your amazing family. Love to all of you! It's amazing and inspiring that you're channeling your energy into such a positive project. Kate. I think your idea is amazing. I will be sending a check in the mail tomorrow. Your passion to continue to do good things in Gavin's name is very inspiring. My own daughter was a Special Needs teacher grades K-2 until she lost her son 14 months ago to SIDS so I know both the needs of the special needs community and the need for a grieving mama to ensure her child's legacy continues even when they are not on this earth. Please know that I continue to pray for you and all moms who are walking the grief road. What a wonderful idea to continue to help and bless other children in Gavin's honour. I just donated. Hoping this project brings joy and comfort to your heart. Praying that God would continue to bless you in this difficult time of grieving and hoping. I'm glad you're doing good in Gavin's name his legacy will live forever because of you. Good luck with your project. What a wonderful idea Gavin's friends and classmates will love it. I love how generous you are even after all you lost. Such a wonderful idea. So many times when you see someone go through something like this, you want to do something to help, but you feel there really isn't anything you can do to truly help that person. Thank you for giving all of us the opportunity to help Gavin's friends in his name. It's such a wonderful tribute to his precious life. I know you are SOOOO proud of him!!! Go Gavin!! Today is our son's 7th birthday. I'm able to spend another day with him and for that I am forever thankful. I admire what you are doing....carrying on your son's name. I would be honored to donate to your cause. Your strength, love, thoughtfulness for others etc during your time of grief is amazing. You are a wonderful example of a strong lady on a mission! Thank you for reminding us all what is truly important in life. This is an incredible project, Kate! I have no doubt this is going to help hundreds, even thousands of children. We are one of those "duct tape" families so I totally get what you're saying. I have fought so hard for the equipment we do have, but there are some things we desperately need, like a lift van that we'll never be able to afford. There are families like us who can't even get a wheelchair or a walker for their child. Our school's equipment is inadequate....I could go on, but you know already - it's like that in every town across the board. I will be sharing this far and wide and praying that Gavin's Trust Project continues to grow. 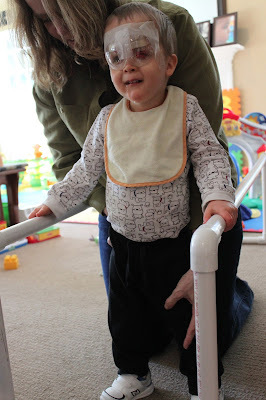 A beautiful project that has special meaning to this mom and every mom who has a child with special needs. I am IN. A few months ago I was approached in a store by a man, he handed me $40 and said this is to help out you and your kids (I had my two sons with me and was pregnant) I graciously accepted the money. I, howeve did not necessarily *need* the money, so I decided I would like to pay it forward, and that is what I just did! Kate, your blog touches my heart so much. I share many of your stories on my Facebook page, and talk about you and your family to many of my friends and family. I will definitely post today's entry to help spread the word about Gavin's Trust Project.